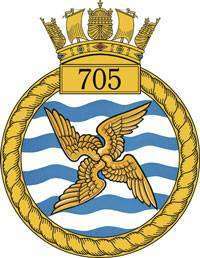 Since the 1950s, 705 Squadron has conducted rotary wing Basic Flying Training for the Royal Navy. Over the course of 33 years (from 1963 to 1996), RAN helicopter instructors have served on exchange with the Squadron, from the early days of Whirlwind Mk7 and Hiller 13E helicopters to the end of the Gazelle HT1 era. The exchange program terminated in 1996, shortly before the Squadron moved from its home at RNAS Culdrose to become part of a joint Helicopter Training School at RAF Shawbury. The story of the 22 exchange pilots who served on 705 has been captured by Mr Trevor Rieck and forms an important part of the FAA’s history. It can be seen below. Note: Hover your mouse pointer over the .pdf window below and click on the magnifying glass to expand text, or the ‘Popup’ symbol to open it in a new window. The .pdf can be downloaded using the ‘Download’ link at the foot of the window.